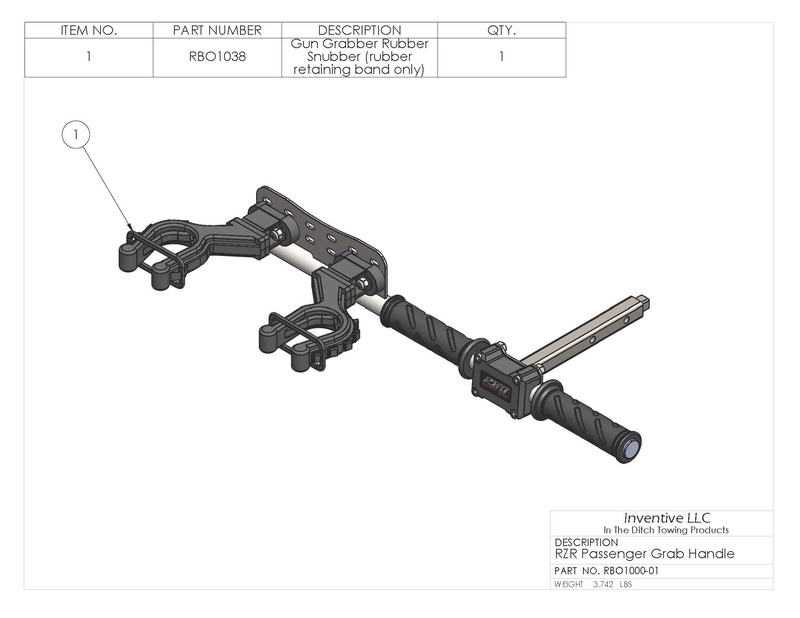 Fits Polaris RZR’s from 2102 to current with square mounting shaft. Gun Mounts can be adjusted up down and side to side. 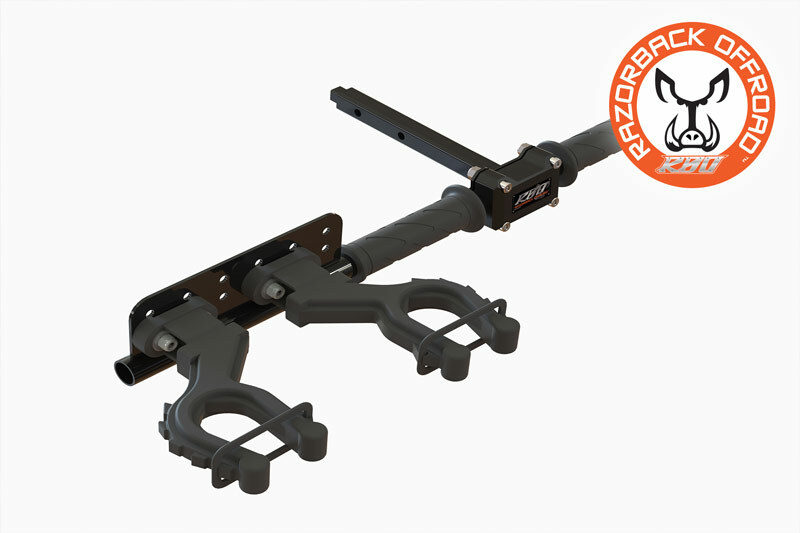 The Ultimate RZR Gun Rack has arrived! Most of us here at Razorback are avid hunters and we felt there was a better way to hold our guns in our RZR. 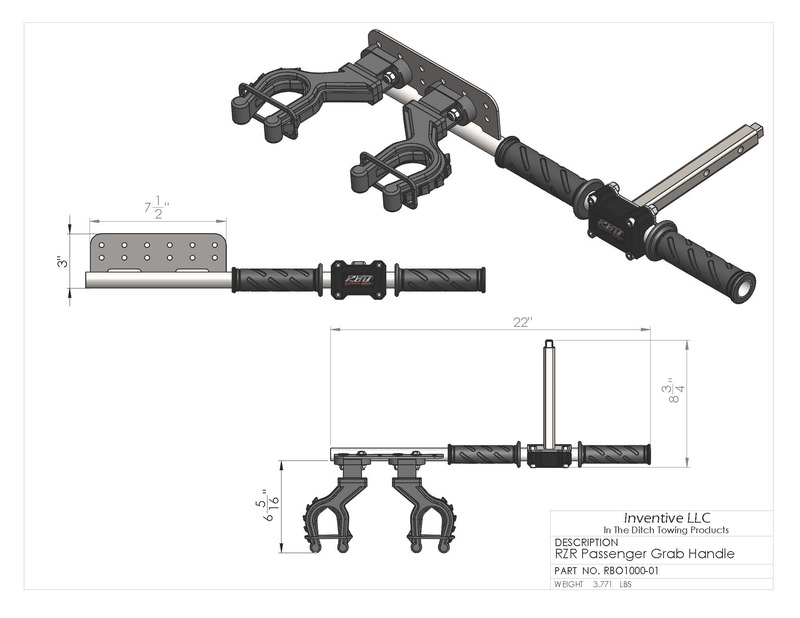 We also wanted a nicer looking RZR Passenger Grab handle the had comfortable grips for our passenger. The result is our RBO Ultimate Gun Rack. This mount will fit all Polaris RZR’s built after 2012 that use the square mounting shaft. We designed our Ultimate Gun Rack with Lots of adjustability so you can change the gun mount locations to fit your specific rifle or shotgun. We also incorporated Pro Taper® Hand Grips, we also machined in a ½” drive socket adapter into the end of the mounting shaft. This allows you to use our Ultimate Gun Rack ™ as a Lug Wrench for removing your Side x Side lug nuts (Socket Not Included). We build this RZR Ultimate Gun Rack ™ right here in Idaho at our facility so you can be assured it is built with pride. This product comes with our Razorback 100% Money Back Guarantee. To see our full line of UTV products for your UTV, ATV or Side x Side please check our products pages. RBO double rifle rack in my rzr 900 for deer season this year. The rzr tipped onto its side in a bad section of trail but once we pushed it back on its wheels, both rifles remained in the rack and were unscathed from the experience. I recommend anyone looking for rifle racks check the double from RBO. I’m sold on it. Purchased this for my 2018 RZR 900 EPS Trail. After research found there were few gun rack options available for rzr’s, then found this! Super happy with my purchase. Fast shipping. Scoped rifles ride secure, rifles are easy to get to, and do not get in the way. Needed to adjust my steering wheel up to accommodate how my rifle was positioned but no big deal. I highly recommend this product.